Be alerted inside and outdoors! 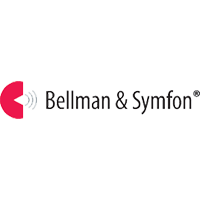 The Bellman Visit Signaling System Value Pack 3 with Vibrating Pager Receiver is a fantastic solution that allows the user to move around inside and outdoors and still be clearly alerted by pager vibrations and light indicators. Works with VP200. Now you can go anywhere on your property and never miss a visit! Includes: Push Button Transmitter, Telephone/Multi-Purpose Transmitter and Pager Receiver. Two Year Manufacturer's Limited Warranty.